In addition to dining services and meeting rooms, Marbeck Center is home to several unique areas of campus including Bob's Place, Klassen Court, and the international flag pole display. Klassen Court is the courtyard between Marbeck Center and Founders Hall. The courtyard features the artwork of John Klassen, a faculty member at the college from 1924-58. Some of Klassen's pieces can be found here and in other areas on campus. Lining the walk between Marbeck Center and Sommer Center are ten flag poles which fly the flags of the home countries of many of our students. The flags are rotated throughout the year with the cooperation of the International Connection student group to be sure to display the home flag of each international student. In the fall, the flags of new international students are flown, while graduating students' flags are displayed throughout the spring months. 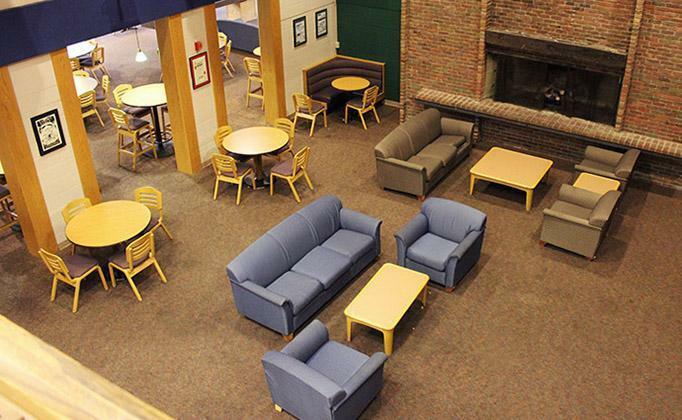 Opened in the spring of 2003, Bob's Place is the one gathering area with extended hours to meet student study and recreation schedules. 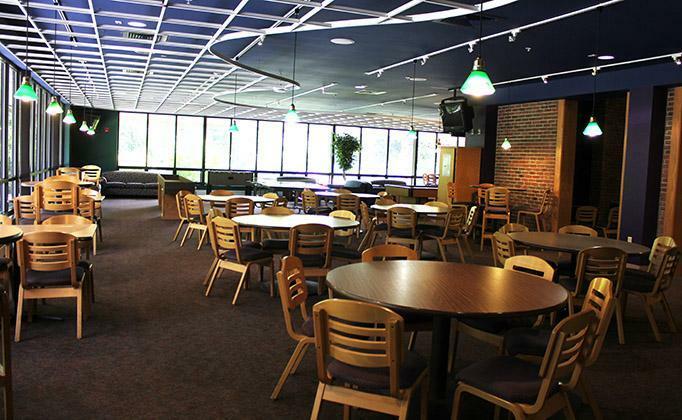 Featuring food, games and entertainment, Bob's Place is the hot spot for students to hang out, study and socialize. 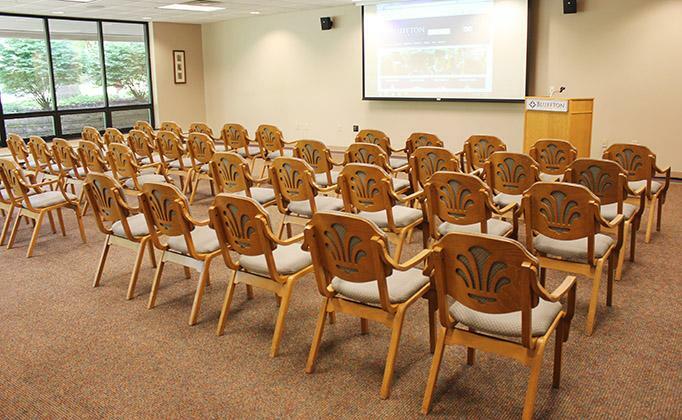 It is the premier campus location for a variety of student activities and events. A fireplace, computers, televisions and games are a few of the features of this area. 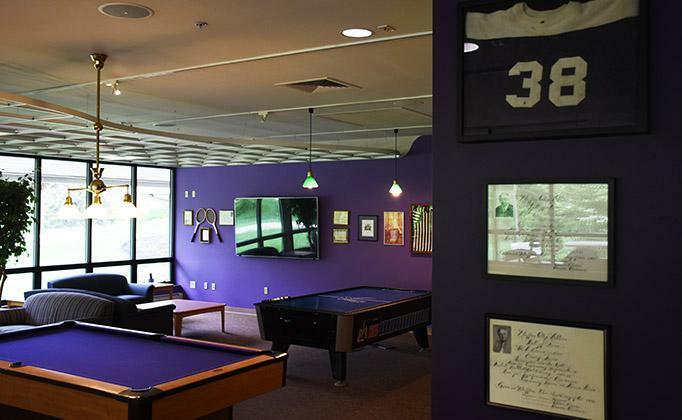 Bob's Place games include all of the classics, such as pool, table tennis, air hockey, foosball, and the campus favorite carpet ball. Bob's Place also features wi-fi access, allowing student access to the campus computer network from anywhere in the facility including the outdoor plaza. Bob's Place features a full line of grill and snack items. 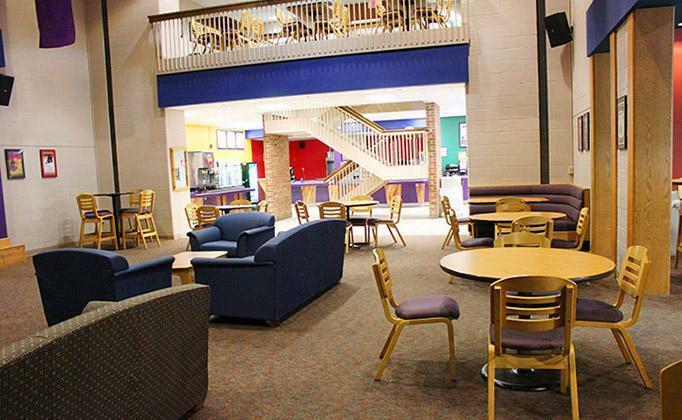 Bob's Place, along with the Loft, is open until 1 a.m. every night during the school year. Just inside the main doors of Marbeck Center is the Bluffton University Bookstore, featuring textbooks, supplies and Bluffton merchandise. Campus visitors can select from a large variety of Bluffton T-shirts and sweat shirts, along with binders, pens and novelty items. Apparel, gift items and books are available online. The Marbeck Center information desk can be considered the "storefront" of Bluffton University. The information desk is where the main campus switchboard is located, as well as the mailroom for all students, faculty and staff. 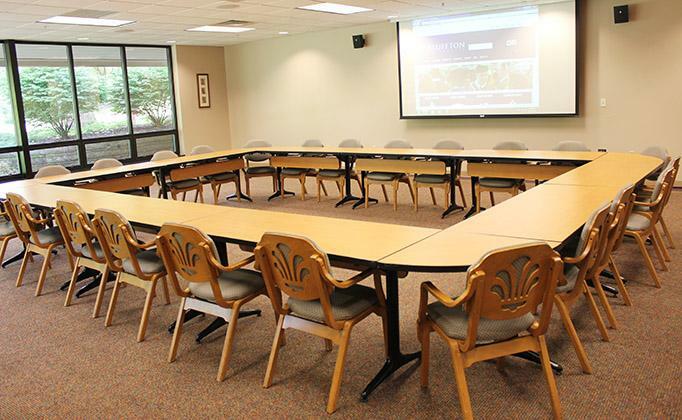 Staff members at the information desk publish a daily update of meetings, sessions and activities that are scheduled across campus, and are responsible for the coordination of the campus space reservation system. Mail comes in daily Monday through Saturday, and goes out at 3 p.m. every weekday. Students are able to receive packages from all major shipping companies. The individual's campus mailbox number is listed after "Bluffton University" - please note that the word "box" should not be used as per a request from the USPS. For questions about campus mail service, space availability, and information desk services, call the campus switchboard at 419-358-3000. This is the place to go to view university activities and events and to request space on campus. If you are looking for more information about Bluffton's banquets and conference program from off-campus, please contact Marbeck Center staff through this facilities request form. The following links are for on-campus use only. In order to see what is happening on campus, view the Event calendar. 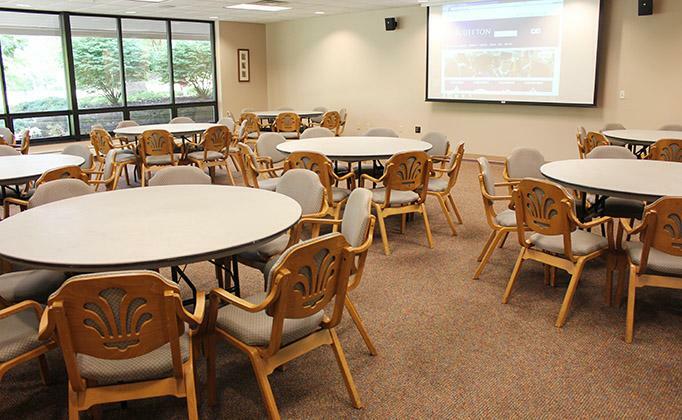 If you are interested in reserving a room or space on campus, please go to Request a space. You will then be asked to log onto the system. If you are a first time user, you will need to Create an account by simply entering your valid e-mail Bluffton address and creating a password. After your account is created, can log in to request space and check on the status of your reservation. Please note that there are some spaces on campus that cannot currently be requested online. If you have questions or comments, please feel free to e-mail marbeck@bluffton.edu or call Marbeck Center at 419-358-3216.